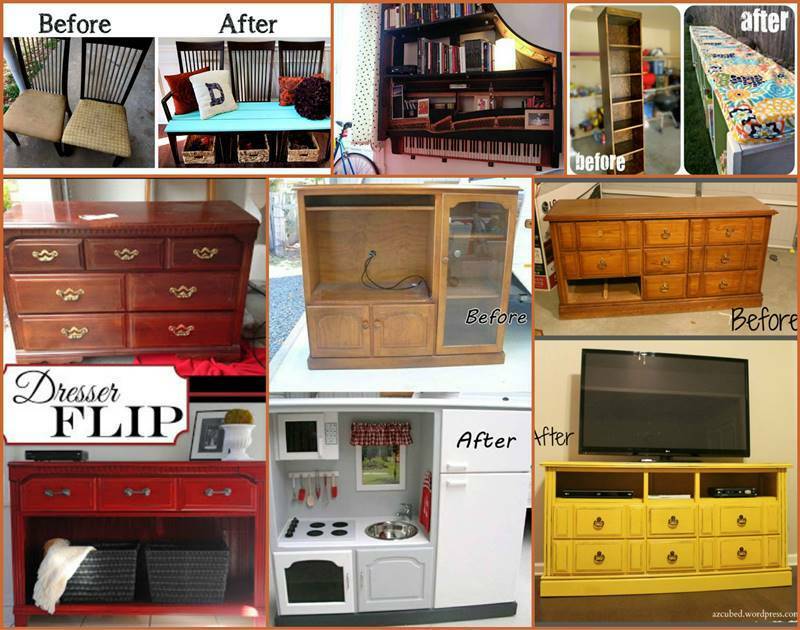 Thanks to the creativity and efforts of DIY enthusiasts, repurposing old furniture has become more and more popular because it’s a nice way of recycling and a cheaper and doable way to own a new functional piece of furniture. 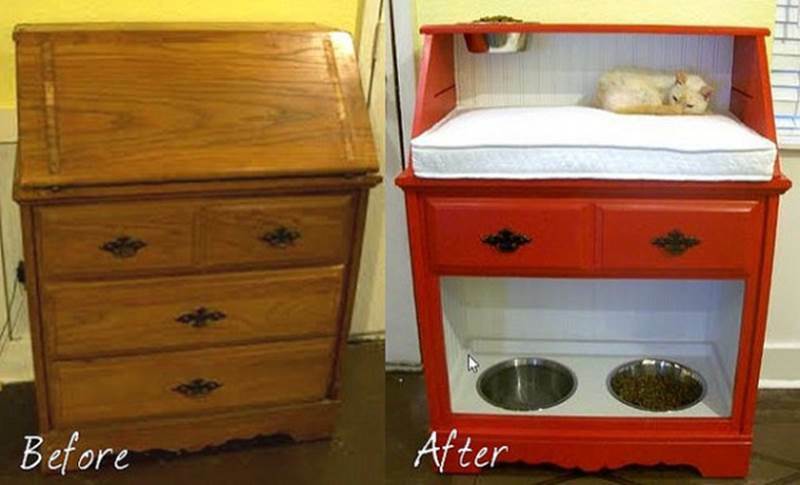 In this DIY project, this lovely furniture is for your little furry friends. Here is a brilliant idea to repurpose an old desk into a pet station for cats and dogs. This smart designed pet station looks fabulous and is multi-functional. There is cat food bowl on the top, and then the cat bed, drawers to store pet accessories, and at the bottom, a shared water bowl and dog food bowl. It’s the perfect place for your pets to rest and relax! The followings are more creative ideas to repurpose old furniture. 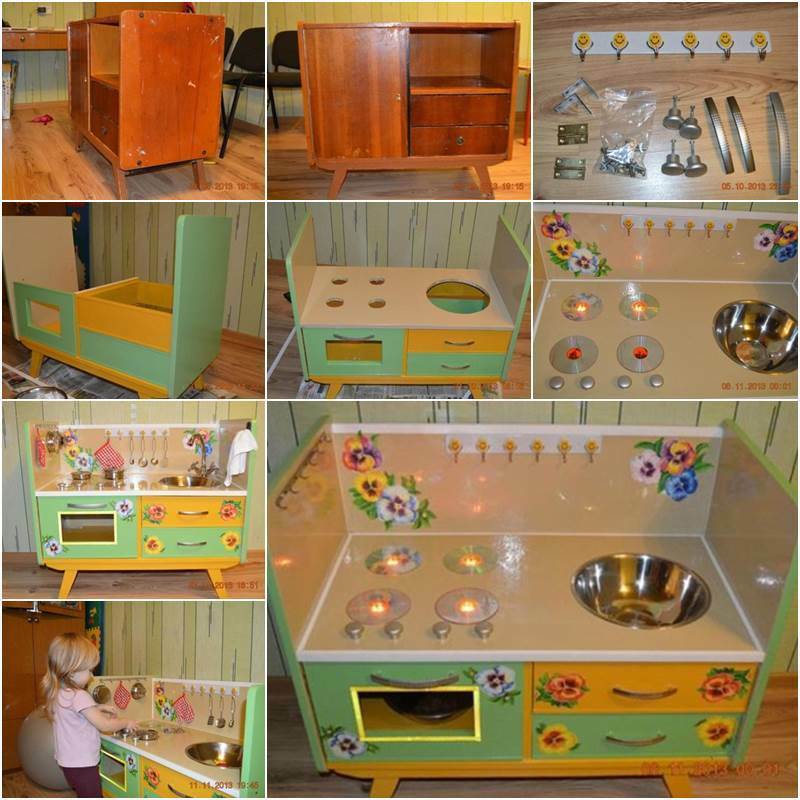 Hopefully they are inspirational for you to recycle your old furniture in a better way. Enjoy!